Marantz, well-known producer of Hi-End audio receivers, announced its remote control RC9001. Generally, it looks like Philips Pronto. It sports color touchscreen display and will offer integration with Escient Fireball media servers and Lutron RadioRa lighting controls for full multi-room control. Optionally, the RC9001 can be extebded by RX9001 WiFi extender or RX8001 serial extender. The Marantz RC9001 is expected in mid-September for right around $1000. 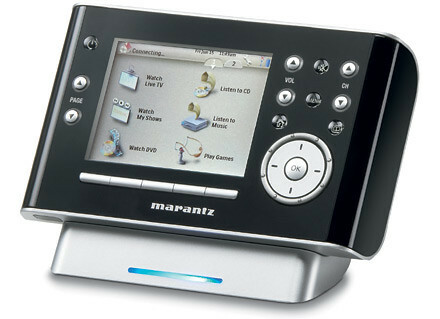 The funny thing is that there are no any words on official Marantz site!